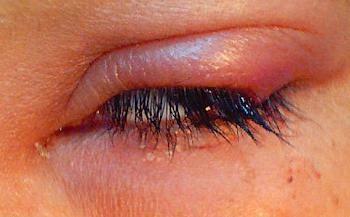 Have you ever developed a red swollen painful bump on your eyelids or eyelashes? If yes, you may have has styes. Continue reading so as to get answers to all your queries regarding the symptoms, causes and treatments of styes. 3 What Causes Styes ? 6 Are Styes Contagious ? A Stye is a tender red bump that occurs at the base of an eyelash, or stye under eyelash, or even inside it. It is an infection of the sebaceous glands of the Zeis occurring at the base of the eyelashes. It is also an infection of the apocrine sweat glands of the Moll. It is actually a result of these infections in the oil gland of the eyelid. It is also called the hordeolum. They are chronic in nature, but last for a short duration, of 7 to 10 days. They cannot be resolved without intervention of some kind. They are caused by staphylococcal bacteria. It may also occur due to the clogging of oil glands around the eyelashes, and can even be triggered when the person is stressed. Styes usually start off with redness and tenderness in the affected area. The person may experience pain in the eye, and may also feel scratchy or irritated. The eyes may also feel bruised or sensitive to light. Usually only one stye appears at a time. However, if a person has styes in both the eyes, then the pain will be much greater. There may be different symptoms if the person has internal or external stye. In case of internal stye, there may be a red area with a yellow spot on it, in the inner part of the eyelid, when the eyelid is turned inside out. It may swell, and the kin that is around this swelling will also turns red. Internal styes are much more painful than the external styes. They also take much more time for development.In case of external styes, a yellow spot will appear which will be filled with pus, with a kind of head on it, and will appear close to the edge of the eyelid. It is warm to touch, and hurts on touching. Later on, after swelling, when the stye grows, the person may experience further discomfort due to blinking of the eye. Regular watering of the eye may also follow. If it turns completely severe, then a hordeolum will also be developed in the interior. Sometimes, it turns so severe, that it feels better if it ruptures, so that the pus is drained out of the stye. The prime eye stye causes is the Staphylococcus aureus bacteria infection. It bacteria may get infected in the oily glands of the body. It may be developed due to the blockage of these oily glands in the body. Its growth may be triggered due to poor nutrition, deprivation of proper sleep, continuous rubbing of eyes, and lack of proper hygiene of one’s self. When a person has styes, he should not share face towels or washcloths with others, so that this disease does not spread. Styes take a few days to develop, and sometime can heal on their own. But in most cases, they require intervention to be cured. There are some other causes of styes, apart from the bacterial infection. Due to poor nutrition, there may be a vulnerability to infections, as the immune system may not be very strong. If there are frequent stye infections, then it may suggest the occurrence of diabetes. Styes occur in children more than in adults. If a child has a stye at a certain age in his childhood, then there is a high probability that the child has another chronic stye next time. This disease is more common in those children, whose resistance power is low. And in case of children, the biggest point of concern is that they tend to squeeze the affected area, which will increase the pain to a great extent, and may be a cause of swelling. Both styes and chalazia are lumps that are formed underside or on the edge of the eyelids. 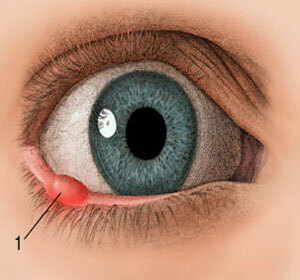 A stye is like a red and sore lump that occurs along the edge of the eyelid. But chalazia are a small lump that is formed, when there is a blockage in the oil producing gland of the body. Chalazia develop in the eyelids much farther from the edge of the eyelid, away from the place where stye occurs. It is also larger than a stye, but id less painful. Often when the stye heals, it turns into chalazia. Styes are contagious only through direct contact. If a person who has eyelid styes touches his eyes, and then touches any surface without washing his hands, then he may contaminate that surface. Now if any other person touches this contaminated surface without washing his hands, he may get this infection and develop an eye stye. Therefore if one wants to avoid the spread of eye stye, he should make sure that perfect hygiene is maintained and that he does not touch anything unnecessarily. And if a person has stye, he should not put on any eye makeup or should also avoid lenses. A stye should never be compressed, pressed or squeezed to facilitate drainage, since it can worsen the infection. If the stye is persisting for a long time, then the infection should be drained under the impact of local anesthesia, by a doctor only. Antibiotic ointments may be used for stye eye treatment. Incision and drainage is usually resorted to if resolution is not started within 48 hours of resolution. Eye makeup should be completely avoided, since it can aggravate the infection. Medical aid should be taken so that the symptoms are relieved. There are some immediate techniques for getting rid of styes. Certain medications can help in the treatment of styes. There is a medicine known as Neosporin for stye treatment. It is very effective and acts quickly. If you apply a strip of this medicine, it stays on the eyelid for a long time. Antibiotics are generally prescribed for those patients who have multiple styes, or have a stye for a long time, and do not heal for quite some time. There are some oral intravenous antibiotics that can help in the treatment of styes. Doxycycline can be administered to patient when infection spreads too much. There are certain antibiotic ointments for styes. There is an ointment called polysporin for tye treatment. It is very helpful as a cure for stye. These ointments are applied at bedtime. Sometimes drops are also used. 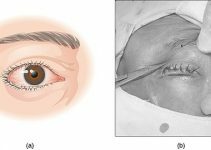 The last resort for stye treatment is surgery. If other cures for styes fail, then the patient has to go for this treatment procedure. This surgery is performed by an ophthalmologist, under the effect of local anesthesia. They removed stye is often sent for histopathological examination so as to rule out any possibility of skin cancer. Mostly styes are harmless, and there are very few complications involved in it. It does not affect the eyesight, and does not cause intraocular damage. Sometimes they heal on their own, thereby relieving the symptoms. Very few of the patients require surgical treatment. If one does not squeeze the stye, the prognosis will be better. But a doctor’s help is required if it gets worse, red or serious. The basic principle behind the prevention of stye is maintenance of personal hygiene. The person who is infected with stye should make sure that proper personal hygiene in maintained so that eye infection styes does not spread from one person to the other and so that he does not suffer from it in future. A person should follow certain basic guidelines, which will in turn help in the prevention of styes. When the person wakes up in the morning, he should apply a warm washcloth on the eyelids for a minute or two. This will reduce the occurrence of styes, since the contents of the oil glands will already have been liquefied, so there will be no blockage. It can also be cleaned with the help of clean water and soap. The eyes should not be rubbed with hands very frequently. This can also prevent styes. Girls should never share mascaras, eyeliner or eye shadows. Eyes should also be protected from dust and air pollution, so as to prevent styes eye infections from cropping up due to dust particles. Those who use contact lenses should make sure that they are monitored so that cleanliness is maintained. These contact lenses can be contaminated by bacteria, so it should be monitored. Since apart from also these reasons, stress also contributes to the occurrence of styes, so stress management measures should be looked for.